So, do you think this will work? Now this is just plain silly. It's a USB Compatible Voodoo Doll. I have no problem with using computers and technology in a magical context, but there's really nothing magical or spiritual about this. 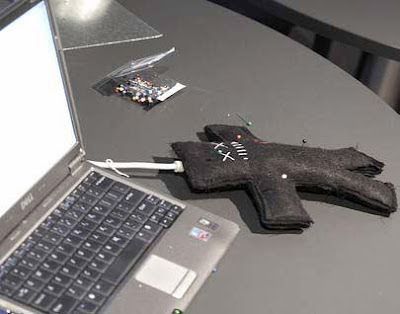 Upon stabbing this voodoo doll with a pin, knife, icepick, etc it will spout out "nastygrams" on the computer screen that it is connected to. So I suppose this would be the perfect gift for people too dumb and/or inarticulate to compose their own "nastygrams?" I can't imagine this device catching on - unless of course it can actually unleash spiritual forces over the Internet and the ad copy is just a cunning cover. One of things that you learn about when renovating Victorian houses is technology that was the rage a hundred years ago but which has been replaced by more modern innovations. Before the rise of petrochemicals there was no polyurethane that could be used to treat hardwood floors. The Victorians made due with varnish and a substance with a lot of potential for magical work, shellac. 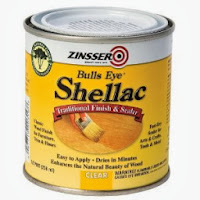 A lot of people don't know that shellac is a natural substance. It is resin secreted by insects, and it shares many properties with industrial plastics. However, synthetic plastics differ in one key way from natural occurring materials, even those with similar chemical structures - in my experience, plastic will not hold a magical charge. There is no obvious reason why this should be true, since plastics are hydrocarbons just like the molecules that make up natural materials, but I have never been able to enchant a piece of plastic and neither has anyone else I've worked with. It may be that the molecules were never alive in their current configuration, or that their link to the animals and plants that died and became oil is millions of years old. In either case, the chemical formula alone does not seem to be the only relevant factor. That this is the case is really pretty annoying. A number of very nice statues of different deities can be found online, for example, but many of the prettiest are made from some sort of plastic resin. Such icons make fine focal points for meditation on the deity, but even with a lot of work they will not accumulate significant magical energy. Also, with plastics it is possible to make really nice-looking magical tools, but good luck making an empowerment "stick" to them. Shellac is a possible solution. It will coat just about anything, including plastic, and can be bought in a clear formula that will not change the color of whatever it coats. Even if a tool or icon is made from a non-magical material it will hold a charge if the surface is covered with a material that will. Incidentally, some kinds of acrylic paint use tints that contain significant amounts of metal, and these can work in much the same way. Especially with highly magical metals such as gold and silver you don't need very much to produce the desired effect. Shellac has one more interesting property, and that is that it dissolves in alcohol. That means, for example, that you would not want to dip a shellac-coated statue into a goblet filled with Everclear, though I can't imagine any reason why anyone would want to do that. It also means that fluid condensers can be mixed into the shellac to increase its magical effectiveness for holding certain kinds of energies. Here is a simple overview of making herbal fluid condensers for the elements. The basic methodology is similar for producing planetary and zodiacal condensers. At one point our magical working group did a series of operations in which we made planetary fluid condensers. A fluid condenser is essentially a preparation of specific herbs that correspond to the planet dissolved in some sort of solution, usually alcohol, and empowered by certain magical rites. The herbs themselves are empowered and then they are placed into an alcohol solution along with a small amount of gold and heated for a specific period of time. The site above does not mention the use of gold, but this is a step that has been highly recommended by others in the Western magical tradition. The result is an alcohol-based solution that contains the essence of the element, planet, or zodiac sign to which the herbs correspond. Since the fluid condenser is alcohol-based, it can be mixed right into the shellac. Since most tools and deity icons are associated with a specific element, planet, or sign, this makes for a nice touch - coating the object in question with materials that are in specific harmony with the desired magical effect or affinity. So let me get this straight - magick is the latest new twist on the old Nigeria 419 spam? You know, the one where you get this e-mail offering you a percentage of millions of dollars in exchange for helping someone get the money out of the country illegally. Apparently the latest spam concept to come out of Africa is an e-mail threatening to curse the recipient unless they pay up. Now you listen very carefully for your own good I am an African from Kenya take me by name (as mr edwin orobosa) and you don’t know me I am the sole spiritual leader of the Harica Witchcraft and Wizard society of Kenya and the grand master of the Zone B & D. Kenya Occult and Mystic order since 1987- up till date – 2006 also presently the ritual leader of the West and East African – Voodo confraternity presently I am out of Kenya on an assignment of initiation of new members in Nigeria and also to part take some Voodo rituals which will last for 3weeks, the ritual date is the subject of this letter to you, now you are to take my orders and simple instruction or else you will have yourself to blame. As the ritual leader of the Africa Voodo I have been asked by the head man to get 6 fresh eyes and 4 bleeding hearts for a ritual purpose and presently I have 13- pictures numbered 1 – 13 and I am suppose to use 10. So you are the 5th person on the list numbered 1 -13- so in other for me to ignore you, you are going to pay $500 U.S. dollars failure to pay this money I am going to chose you. Oh no! Don't chose me! I wonder if this really works on Americans. My guess is it will be a lot less successful than the old 419 just because most people are willing to accept corrupt regimes moving millions of dollars in illicit cash around, but a lot fewer take magick seriously. To be fair, in this case that's probably as it should be. In Asian films like Crouching Tiger, Hidden Dragon martial artists can do all sort of incredible things. One of the most amazing of these feats is to fly through the air while fighting and somehow become almost weightless. Levitation has a long history in the Eastern mystical schools and, in theory, is accomplished by the manipulation of the human body's natural qi or internal energy. Could such a thing actually be possible? In China scientific studies have been made of Qigong, which has a long history as a traditional medical practice in that country. Most research suggests that the main medical benefits of Qigong are healthier breathing and greater joint flexibility in addition to the usual benefits of increased physical activity. However, some study has also been made of Qigong masters to see if there is any validity to claims that qi can be "emitted" from one person to another. These studies have found that Qigong masters emit infrasonic waves. Infrasonic waves are sound vibrations that are below the frequency level normally perceived by the human ear. In effect, when a Qigong master "infuses" a patient with qi, what appears to be happening is that the master is causing the patient's body to vibrate at these infrasonic frequencies. So what does this have to do with levitation? Well, it turns out that small animals can be levitated using sound waves. Scientists have developed a way of suspending objects in the air using ultrasonic waves. Ultrasonic waves are sound waves that are above the frequency level that human ear can normally hear. The system used in these experiments used 20 millimeter wavelength sounds and was thus limited to objects of that size or smaller. The infrasound waves generated by Qigong masters peaked at between 8 and 12.5 hertz, which means that the wavelength is about 30 meters. That value is obtained by dividing the speed of sound at sea level, 334 meters/second, by the frequency of the waves. If a 20 millimeter wavelength sound can levite objects 20 millimeters across or less, could a 30 meter wavelength be used to levitate objects 30 meters across or less? It probably could if enough energy could be imparted to the wave. It does not seem likely that the human body could produce enough energy to enable a Qigong master to levitate. However, it is an interesting coincidence that Chinese folklore teaches that qi can be used to levitate, that Qigong masters emit infrasonic waves, and that sound waves can in fact be used to levitate small objects and animals. Perhaps this bit of folklore is based on a kernal of truth after all. Scientists believe that they have discovered evidence of the first known human ritual dating back about 70,000 years. This is much earlier than original estimates that suggested ritual practices among humans developed around 40,000 years ago. The site appears to be some sort of simple temple with a stone icon carved in the shape of a python, which is kind of amusing given the role of the serpent in later mythologies. The statue appears to be a religious icon of some sort to which arrowheads and other items were offered. My question here is pretty simple: what were these apparent rituals supposed to do, and did they work? It took her more than a year, but Roberta Stewart, widow of Patrick Dana Stewart who was killed in Afganistan on September 25, 2005, finally has a Wiccan symbol installed on her husbands war memorial. This is a very good thing. All veterans should be honored for their service to our country, and if Christians are going to be honored with their own holy symbol, everyone else should be extended the same courtesy based on their religious beliefs. Roberta Stewart, widow of Sgt. Patrick Stewart, and Wiccan leaders said it was the first government-issued memorial plaque with a Wiccan pentacle -- a five-pointed star enclosed in a circle. More than 50 friends and family dedicated the plaque at Northern Nevada Veterans Cemetery, about 30 miles east of Reno. Atheists are represented by an atomic spiral. How do you think magicians should be represented? In John Dee's Heptarchia Mystica fragmentary designs are given for talismans corresponding to each of the days of the week. They consist of a ring of letters and sigils for each King and Prince, and the construction is relatively straightforward. Geoffrey James gives a reasonable design in Enochian Evocation - the sigil for the King goes above that of the Prince inside the circle of letters, and across the middle of the talisman are written the names of the King and Prince. James notes that Dee's diaries suggest talismans should be used for the other entities such as the Kings and Seniors, but since Dee never recorded any such designs he is left with reproducing the sections of the Great Table in which their names appear. Our ritual group recently evoked Bataivah, the King of the East, and the result of that working gives some insight into the talismans and how they work. Since this is data from a single operation, it is still in the experimental stage. Any additional accounts are always welcome, whether or not they support what I am presenting here. As in orthodox scientific research, more data is always better. 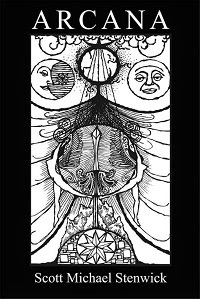 Carroll Runyon is the author of The Book of Solomon's Magick in which he explains his understanding of Goetic evocation. When working with his system, the sigil of the spirit is traced onto a dark mirror. The magician performs the conjuration and then stares into the mirror, in which his or her reflection is distorted by the sigil and becomes the image of the spirit. 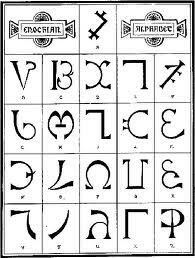 Enochian talismans are used completely differently - when conjuring the spirit, the magician steps onto the talisman. As the design is completely out of the line of sight of the magician, there is really no way in which any sort of visual or optical effect could be involved. The talismans thus appear to have a purely magical effect rather than any sort of perceptual influence. In our latest evocation we summoned Bataivah, the King of the East. The ritual template we used is very similar to the one posted on this site, differing only by a few edits and actions. The conjuration used is based on the one cited by Geoffrey James for the Seniors, but it did need to be assembled because apparently Dee never wrote one, or if he did it did not survive among the papers in the British Museum. Bataivah was summoned by the three names of God corresponding to the East - Oro, Ibah, and Aozpi. No talisman was used because James' designs did not seem very convincing and no others appear in Dee's diaries. I acted as Magus, with two other members of our group, one as Scryer and the other as Scribe. Once the conjuration was complete, the Scryer did see an image in the mirror but heard no responses to our questions. I vibrated the name of Bataivah at the image, and it did not disintegrate or break up as imaginary images tend to do. We asked if there was something additional we needed, the Scryer saw an image of boots or feet. I immediately realized that this referred to the talisman and asked Bataivah to show us the design and what letters should be placed upon it. The Scryer saw an image in the mirror, drew it out on a sheet of paper, and handed it to the Scribe, who filled it the proper letters. I then took it, stepped onto it, and at that moment the Scryer was able to hear responses to our questions. My working hypothesis from this is that the function of the talisman is to facilitate communication with the summoned entity. We were able to summon the King, but without the talisman he seemed to only be able to communicate by showing the Scryer a series of images. Another magician has commented to me that they found the Heptarchial Kings "unapproachable" in ritual, and I do not recall whether I asked if they used the talisman properly. In my experience not very many modern magicians do. If the Heptarchials are like we found Bataivah to be, it is no wonder that communication without the talisman is difficult. Another point of note is that I have been able to evoke and invoke the Kings and charge them with tasks without using a talisman. My practical results from this are pretty good so that suggests the talisman specifically allows the spirit to answer questions in a manner comprehensible to the Magus and Scryer. They never seem to have any trouble understanding commands. I'm much more into practical ritual work and the most recent series with the group is the first time that I've done much involving scrying. I will of course try out some practical evocations now to see if the talisman design that we received improves them, but that all remains to be seen. My reservations about my working hypothesis are that this is only one working and it is possible that some psychological factor in our group produced the effect. Maybe we subconsciously felt like the talisman "should" be there, since we have been working with the Heptarchials and have used talismans for all of those evocations. Maybe we got the wrong spirit, even though vibrating the proper spirit name will usually send away imposters and I did that several times because I expected the King to be able to converse and was trying to get a stronger manifestation. We also still have to analyze the number and words of power that we were given to see if their attributions look reasonable for Bataivah. So this is really a starting point. If any of you have had experiences evoking and conversing with the Watchtower Kings I would be interested in hearing about them. The world of sports may be more ripe for operant magical influence than the world of politics. In professional athletics often the difference between winning and losing is so tiny that small influences like those observed by the Princeton Engineering Anomalies Laboratory could possibly carry the day. The Tanzania Football Federation (TFF) is certainly taking no chances - two teams have been fined for using magick against their opponents. In fact, this is the second time that these teams have been punished over the use of magical practices. So does it work? I can only speak from very limited experience. I have only cast one spell with the intent of influencing a sporting event in my life, for the Minnesota Vikings in 1997. I cast the spell in the middle of the game (as I recall, against Arizona) in which they were trailing, and they wound up turning it around and winning by one point. They went on to win the next four games, but hit a losing streak after that and only managed to finish the season at 9-7. In recent years I haven't been interested enough in (American) football to bother with that sort of thing, so I only have the one data point. They might have won anyway - but I do seem to recall that the win was pretty remarkable and a lot of breaks went their way after I cast the spell. Pamungkas said he believed the ritual - performed around 1km from the palace - would cause Secret Service personnel guarding Bush to fall into a trance and believe the US leader was under attack, causing chaos. This is actually composed of two statements, and only the first really qualifies as a statement of intent. The magician cast a spell with the intent of causing the Secret Service to believe that Bush was in danger. The Secret Service did believe that Bush was in danger, and as a result cut short his visit. If these events are indeed related and the decision of the Secret Service was in some way influenced by the spell, this illustratea a problem that many magicians encounter - magick gives you what you ask for, not necessarily what you want. In some ways Medieval magicians understood this principle better than modern occultists. They operated from a worldview in which the spirits they summoned were hostile and would attempt to twist the wording of any request, so they delivered charges to the spirits that read like legal discourses. While most classes of spirits are not actively hostile to magicians, magick does follow the path of least resistance. Spirits will do their best to follow the letter of the instructions that you give them, but if there is a relatively likely outcome that they can influence that fulfills your request, they will go ahead and do it. More intelligent spirits like Enochian Seniors and Kings tend to have some sense of the spirit of what you are asking, but as you work down the hierarchy the spirits become more literal-minded. I do not believe that this reflects any sort of malice on their part, just a lack of intellectual sophistication. When working with such spirits, formulating a statement of intent is like programming a computer - garbage in, garbage out. The Indonesian magician probably should have asked for "chaos surrounding Bush's visit" or for Bush to somehow embarrass himself or encounter bad luck and frustration during the trip. None of these were accomplished by putting the thought of danger into the minds of Bush's Secret Service staff. They cut short the trip, Bush left, and that was that. The magician cast for what he wanted under the impression that it would produce the result he desired, which is a relatively common practice that often does not produce the intended objective. Instead, you need to cast for the outcome you want, not for something that you think will create the outcome you want. You specify the ends, not the means. Specifying means can also limit the potential of magick. In the Bush example, there are many different ways in which a visiting dignitary could potentially be embarrassed or thwarted. To specify only one of them concentrates all of the magical power of a ritual on a single, very specific set of events. If this set of events is particularly unlikely, the spell will generally fail. Instead of working against the tendency of magick to follow the path of least resistance, you work with that tendency by specifying the ends very precisely but leaving the means open. Often, there is some way in which your objective can be fulfilled that you did not think of but which is relatively easy for the spell to facilitate. 11/22 Update: One of the problems with specifying statements of intent unclearly is that the target of the spell will be hit by effects that generally conform to the spell's goal but which do not necessarily match the stated intent. Besides issues directly related to Bush's Asia summit, he, his family, and his staff have had a run of bad luck in the last couple of days. Air Force One loses a tire on landing in Vietnam. Motorcycles crash while driving as part of Bush's motorcade in Hawaii. The director of the White House Travel Office was mugged outside a Waikiki nightclub. Bush daughter Barbara was robbed in Argentina. Also, a Secret Service Agent in their detail was 'badly beaten' in an attempted mugging. So are these events related to the spell? None of them are common occurances, though airplanes do have occasional mechanical problems and people are robbed every day, and all of them took place after the spell was cast. My conclusion here is that the spell successfully raised energy but failed to direct it with much precision. Instead of creating a big negative effect on Bush himself it seems to have had a smaller effect on Bush that extended to his staff and his family members. Then again, it still could all be an unlikely coincidence. Scientists have performed a brain imaging study on Christians who speak in tongues. It's behind the New York Times "select" subscription wall, but this article from Slate discusses the findings. The article also includes a link to the actual study. Essentially, it appears as though glossalia correllates to a reduction in the firing of an area in the prefrontal lobe of the brain that normally is active during deliberate activity. From the scans, it appears as though the subjects really were not in complete control of the experience. Christians who practice glossalia believe that God takes possession of their minds and speaks through them, and this sense of losing control is backed up by the scans. Does this mean that speaking in tongues is actually some deep spiritual experience in which the practitioners are connecting to some deeper reality? Or is it a sign of something more sinister akin to brainwashing or mind control? It would be really interesting to compare these scans to scans of ritual magicians performing spells. I'm thinking that perhaps the opposite would be observed - that magick, as willed action, is especially purposeful, and therefore the prefrontal lobe would show heightened rather than reduced activity. The study of brain function during spiritual experiences is an area that I believe has a great deal of promise for the development of more effective magical techniques, and hopefully neurological research in this area will continue. Using magick to affect politics is an interesting idea that in my experience has a lot of potential. Apparently, the same sentiment can be found in Indonesia. An Indonesian magician has cast a spell that he claims will disrupt George Bush's visit to the country on Monday. From the standpoint of magical research, it's always nice when the time interval for a spell is so short - only a few days in this case. That way we'll know soon enough whether or not the spell worked. I'll be on the lookout for any unusual events related to Bush's trip. 11/20 UPDATE #1: Bush's trip to Asia is not going well, but I have yet to see anything that looks unlikely enough to attribute to a spell. Bush arrives in Indonesia today. 11/20 UPDATE #2: There were protests and unrest in Indonesia, but again I don't see much evidence of anything particularly unusual - Bush is pretty unpopular over there. I guess that means the jury is still out on drinking sheep's blood to influence politics. Whether or not the spell might have made the protests worse than they could have been is an open question - the trip was cut short yesterday for security reasons, but there could be many reasons for that. Bush's stopover lasted only six hours, and he has now left Indonesia. One of the ongoing arguments among Enochian magicians is whether or not John Dee and Edward Kelly's experiments produced a single coherent system of magick. Notably, many modern magicians separate the "Watchtower" material from the material in the Heptarchia Mystica, as there is some justification for doing so. The Heptarchial material was received substantially earlier, and the conjurations are structured differently. There are also other portions of the original diaries that don't seem to fit with anything else, like the Liber Logaeth communications and the round tablet of Nalvage. Despite all of this, my own magical research suggests that the Enochian system is indeed a single coherent system, at least in terms of the Heptarchia Mystica and the Watchtowers. Most of the evidence I have collected is related to two specific ritual practices that have produced good results for me over the course of many years. The first of this is the use of Enochian Temple Equipment (no, that's not my temple, but the setup shown is very nice)with all of the entities of the Enochian system. Benjamin Rowe has argued that the temple equipment is only used with the Heptarchial angels, and it is true that the instructions for the various pieces of furniture accompany the descriptions of those particular entities. However, reading through the diaries there is no instruction anywhere telling Dee to stop using the table with the later angels, and it makes little sense that they would have built the table and then stopped using it. It might be argued that the equipment was never built, but there is substantial evidence that the table was indeed constructed. In the diaries, Dee keeps asking if he can put a drawer under the table (and the spirits keep telling him no), so that implies that he and Kelly did in fact build it and used it for their scrying sessions. There is a Holy Table in the British Museum as well that is reputed to have belonged to Dee, though I have not personally seen it and it is possible that it could have been built later. Importantly, it would be worth checking to see if the letters on the table match the actual instructions or if they match the diagram published in True and Faithful Relation, which for some reason is incorrect. Whether it is a mistake or something done on purpose to prevent anyone from using the magick is hard to say, given that Meric Causaubon who published the book was opposed to Dee and his work. If the letters match the instructions, the table might have been Dee's or it might have been built by someone like Elias Ashmole. If it matches Causaubon's diagram, it must date to at least the middle of the seventeenth century when his book was published. There are also technical reasons to use the Holy Table. All of the evocatory systems of the Medieval and Renaissance periods use containment structures of some sort into which spirits are summoned. This is the function of the table. The design communicated to Dee has a lot in common with that of the Almadel - take a look at the diagrams there and compare them to Dee's Holy Table - you have the same square shape, a big hexagram in the center, and a border all along the edge. The main difference is that Dee's table includes the various words of power in the angelic script. The containment structure gives you somewhere to put the magical energy that you summon and then send it to a target using a similarity or contagion link, and is very useful in this regard since the full energy of the conjuration can be sent out cleanly. Invoking and then projecting the energy is messier, in that usually some of the energy will "stick" to you and you may wind up experiencing some of its effects. The Holy Table, Sigillum Dei Aemeth, and Ensigns of Creation work really well for this, and even if they were not "intended" for use with the Watchtower angels I would still want to use them. I think it is more likely, though, that Dee and Kelly did keep using the table and as a result it is harmonious with the later angels and the Watchtower portions of the system. The argument has been made that you don't need them to get results, and that part is true - they are not strictly necessary. The Golden Dawn system does not make much use of the equipment and many magicians have found that system to be very effective. However, one of the things that I have found is that as I assemble and use more Enochian furniture and implements my Enochian rituals get better. 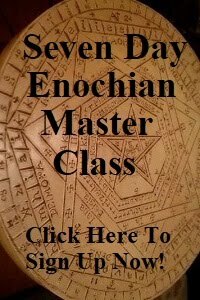 I would suggest that if your Enochian rituals seem really powerful without the temple setup, you might want to try building a couple of pieces and see what happens - you might be surprised at how powerful your magick turns out to be. Another issue related to this concerns the use of the Angelic Keys, also referred to as the Calls. 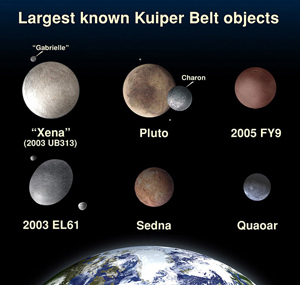 Various systems have been proposed for their use, most of which have problems of one sort or another. One of the most basic conclusions that I have come to over the years is that the First Call ("I reign over you...") is for Dee and the Second Call ("Can the wings of the winds...") is for Kelly. That is, the First Call is for the Magus and the second is for the Scryer. Read them over from that perspective and I think you will see what I'm talking about. The First Call outlines the perspective of the Medieval Magus, ruling over the spirits in the name of God. The Second Call is more invitational, offering praises to the spirits, and ends with the odd phrase "make me a strong Seething, for I am of him that liveth forever." "Seething" is not a word that is used in modern English, but in the sixteenth century it was still in use. It essentially means a trance or an alteration of consciousness, and has the same root as the Norse seidr. This fits perfectly with the model Dee and Kelly used - Dee, the Magus, pronounced the conjurations and summoned the angels, and Kelly then entered an altered state of consciousness where he could see and communicate with them. Over the last several months our ritual group has had excellent results using the Calls in this way with the Heptarchial Kings. The basic framework for our workings can be found in my Heptarchial Ritual Template, and most of the members of our group have found that when using the First and Second Call as shown has allowed for decent scrying sessions, even among those of us who in the past were not very good scryers. It certainly seems like there is some sort of effect that improves our ability to communicate with the angels, at least with the Heptarchials. In earlier workings years ago I found that sometimes the Heptarchials did not manifest well, but that was before I worked out using the Calls in this way. In addition, other magicians I have spoken with have commented that in their experience it is hard working with the Heptarchials because they are difficult to approach - but as far as I know none of those magicians used the Calls when working with them. So does it really all fit together? I have yet to come up with any reasonable applications for the Logaeth material, but that doesn't mean I never will. In fact, we may direct some future operations toward figuring out Logaeth, and given our success with the Heptarchials I am confident that something of value will result. UPDATE: The "Holy Table at the British Museum" likely referred to a Holy Table that was once held at the Ashmolean Museum at Oxford rather than the British Museum proper. A reader passed on a rumor that this table was lost in a fire, but I haven't been able to find any confirmation on that one way or the other so far. It's not exactly a proposal to license people who use magick or cast spells, but the EPA is considering regulating the use of mercury in Voodoo rituals. The article mentions that mercury is used in certain Latino and Afro-Caribbean religious practices, but there is no mention of whether or not it is used in African religions such as Yoruba which are the ancestors of Voudon and Santeria. The use of mercury in these religions could make for some interesting historical research. European alchemical texts make frequent references to mercury, and if no link can be found between its use and Yoruba practices, this might indicate that European alchemy was one of the sources that contributed to the development of Afro-Caribbean religions in the New World. A lot of people in the magical community have a particularly low opinion of skeptics like James Randi and the folks who run The Skeptical Inquirer magazine. The feeling is mutual - skeptics have a pretty low opinion of people who work with any sort of magical or spiritual practice. Apparently anyone who believes in the effectiveness of ritual magick either (1) doesn't understand statistics or (2) believes in his or her paranormal abilities because of selective memory. Robert Anton Wilson had some choice words for the skeptic movement in The New Inquisition, and I think that much of his assessment is accurate. A truly skeptical individual is open-minded rather than reactionary, and the idea that "fundamentalist materialism" is the end-all, be-all of human knowledge is itself a belief rather than a self-evident truth. Nonetheless, despite all of the skeptic movement's flaws, we need them. I've argued with a number of people over the years about whether or not it would be a good thing for mainstream science to recognize the effectiveness of magick. I know that my spells work - I have a degree in experimental psychology and have done plenty of statistical work assessing the effectiveness of my rituals. However, I think magicians are much better off if we are dismissed as harmless cranks as opposed to what I'm pretty sure that we are - people capable of shaping reality, at least to a degree. In societies that accept the reality of magick there is a great deal of fear and distrust of anyone who might be involved in anything occult. Really, this is for the most part rampant paranoia. A person may be born with high magical aptitude, but the idea that a child could be a powerful and dangerous magician is laughable. It isn't that easy to influence others with spells, and most of us need years of practice and diligent training in order to make it work. I've been practicing in one form or another since I was 12 or 13 years old and it took me something like fifteen years before I could influence people and events reliably. Aptitude is only as good as the training that develops it, and that training takes a lot of time. I've considered taking the "Randi Million Dollar Psychic Challenge" from time to time over the years, and I've even come up with a couple of experimental protocols that the Randi Foundation would probably accept. I might even be able to pass them, but I'm not really sure that doing so would be such a good idea. What would the effects be if I were to win Randi's million dollars and set in motion a series of events that would lead to a new round of witchcraft trials? Would the government decide that they needed to license magical practitioners, so that I wouldn't be able to engage in my spiritual path without their approval and oversight? I'd rather keep the mobs of peasants storming my "castle" in the old horror movies, thank you very much. Honestly, I worry about people who seem obsessed with proving to the scientific community that magick is effective - what do they really hope to gain? In my experience too many of them are simply insecure about their practices and want some sort of external validation for what they feel like they should be doing. Honestly, in my opnion people who are that filled with doubt shouldn't practice magick - it's unlikely to do them any good. Most of you at some point have probably seen a version of the Face-Vase Illusion, depicted above. 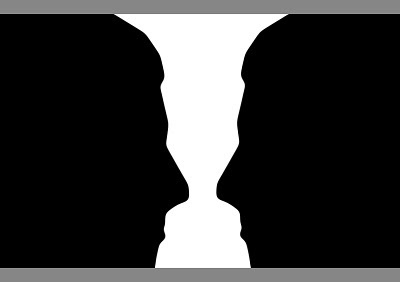 It is a famous optical illusion that can be viewed either as two faces or as a vase, depending upon whether the dark or light field is taken to be the foreground. In addition to demonstrating how the human eye sees shapes, it can also be used as a valuable meditative training tool. Ideally, in meditation you either want your mind focussed completely on a single idea or upon nothing at all. The former is usually referred to as insight-wisdom or concentrative meditation while the latter is referred to as calm abiding or formless meditation. Both techniques are very useful as part of a comprehensive spiritual practice. In either case, the goal of the meditator is to eliminate mental "chatter" that interferes with the goal of the meditation. The source of this mental chatter is referred to as the discursive mind in Buddhist teachings. As you become more accustomed to the chatter-free state of mind, your meditation will deepen and greater spiritual realization will emerge. One of the key difficulties of this practice is recognizing when the discursive mind stops. You can't be sitting there on the cushion thinking over and over again "is my discursive mind stopped?" because, of course, if you're thinking such a thing it hasn't. The human mind is very good at learning to return to a given mental state once that state has been assimilated into consciousness, so it could be said that the greatest difficulty in meditation is recognizing what the mind feels like in its natural state, without any discursive chatter. This is where the Face-Vase Illusion comes in. What the discursive mind spends its time doing is creating meaning. When you look at the illusion and see a face, your discursive mind is what is calling it a face. The same is true when you see a vase. Most people who look at the figure either settle on seeing one or the other, or switch back and forth between them creating a "flickering" effect. Try staring at the image for thirty seconds or so and you will see what I mean. At the risk of sounding like the kid with the spoon in The Matrix, the key to using the Face-Vase Illusion as a training tool for meditation is to realize that there is no face and there is no vase. The image actually consists of regions of dark and light, nothing more. This is alluded to in the words of the Heart Sutra one of the principal texts of Mahayana Buddhism. No color, sound, smell, taste, touch, object of thought. Here's how to do it. Print out a copy of the optical illusion and place it at sitting eye level. I use a Tibetan cushion and sit cross-legged when I meditate but you can just as easily do it sitting in a chair. Just make sure that the optical illusion is in the center of your visual field. Then slightly unfocus your eyes and look forward. You will see one image first, then the other - but keep looking until you no longer see the face or the vase but a continuous image of light and shadow. When the discursive mind stops, the labels of "face" and "vase" will disappear and the image will no longer "flicker." It will just look like a flat pattern. This is how you can recognize the proper meditative state. Usually this will happen within twenty minutes or so of sitting. The more you do it, the faster your state of consciousness should be able to shift. Once you are able to do it pretty much at will, try it at various points throughout the day and try to realize that everything you are seeing is actually just a field of color, light, and darkness. Part of being able to work magick is gaining conscious control over the meaning-creating function of the mind, and the first step in doing that is to become aware of its activity. My ritual group has been evaluating Patricia Shaffer's letter essences for the Angelic/Enochian language over the past several weeks and I've decided to post some of our results. The goal of this analysis is to see if there is any apparent difference in terms of coherent meaning between words obtained from Enochian operations and random collections of letters. 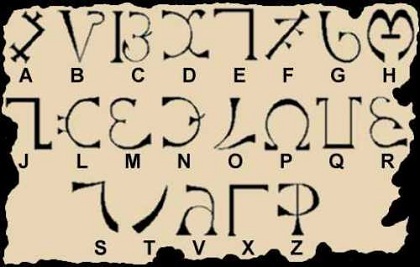 I have already posted the breakdowns from Jabberwocky in the previous thread, and they will be repeated here along with a collection of random words and a set of words obtained from one of our Enochian operations. Analyze both sets using the letter essence system. Determine whether or not the actual Angelic words have more coherent meanings than the random set. This is unfortunately somewhat subjective, which is why I am including the data here. We actually wound up using two sets of words, one of which was a set of computer-generated random collections of letters and the other some of Lewis Carroll's "nonsense" words from the poem Jabberwocky. Unlike the random words, the words from Jabberwocky are contructed with vowel and consonant placement consistent with English and to a lesser extent Angelic. I have been very busy lately cleaning up parts of Operant Magick and working on finishing up Arcana, which is my first fictional novel. 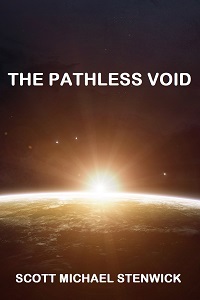 I plan on sending it off to literary agents soon to see if there is any interest in a fictional story that includes authentic magical techniques. Unfortunately, that also means that I have not had much time to post stories here since Convergence. As I think I mentioned when I posted the COMSELH AOIVEAE and COMSELH MADRIAX, my ritual group Comselh Ananael is working on a series of Enochian evocations of the planetary Kings from John Dee's Heptarchia Mystica. This is the ritual template that we are using for this series of rituals based on Dee's prayers and conjurations. The ritual space is set up with the Holy Table, Sigillum Dei Aemeth, and Ensigns of Creation in the center. If available, the full Enochian Temple Setup should be used, with the twelve banners lining the circle and a red/green double-weave altar cloth placed over the table. A scrying stone or mirror is placed on the altar cloth above the center of the Sigillum. Also, four smaller Sigillums may be placed under each of the altar table's four legs. The working hypothesis here is that the closer the Temple can be to the Enochian ideal, the better the system will work. 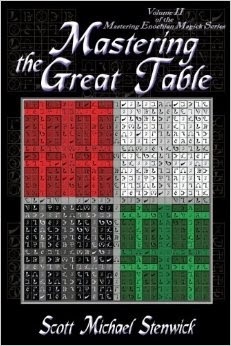 While some Enochian ritualists such as Benjamin Rowe have written that the temple furniture described in Dee's Five Books of Mystery are only needed for Heptarchial work, I disagree and have found that having the Holy Table, Sigillum Dei Aemeth, PELE ring, and other implements improves all Enochian operations. There are two officers in this ritual, the Magus and the Scryer. Magus acts as the Officiant and should wear the Enochian ring and lamen. The officers and all others present should wear white robes. The Scryer attempts to contact the conjured spirit or spirits using the mirror or crystal. This is how Dee and Kelly worked when they received the original Enochian material. The bell chime is placed on western edge of the Table. This should be a chime that can be rung easily with one hand, not the bell and dorje. The Scryer will be ringing it when the Angel or Angels appear, so it must not require a shift of attention to operate. Because of this, its exact position should be left to the Scryer's discretion. A low stool for the Scryer is placed to the west of the altar. It should be of such a height that the stone or mirror is at the Scryer's eye level. All form a circle around the altar and within the banners. Magus initially stands directly west of the altar and Scryer stands directly east. Magus inhales fully, placing the banishing dagger at his or her lips. The air is then expelled as the dagger is swept backwards. Magus then performs the COMSELH AOIVEAE, moving around the Table and casting in the direction of Scryer who concentrates on receiving the evoked energies. To do this, Scryer stands on the opposite side of the altar from Magus facing him or her as the opening rituals are performed. The idea here is to conjure a line of force that originates with the Magus, passes over or through the stone or mirror, and is received by the Scryer. In addition, all others present rotate appropriately. Taking Refuge is part of the Comselh Ananael Ritual Template. Magus: We take refuge in Nuit, the blue-lidded daughter of sunset, the naked brilliance of the voluptuous night sky, as we issue the call to the awakened nature of all beings, for every man and every woman is a star. Magus: We take refuge in Heru-Ra-Ha, who wields the wand of double power, the wand of the force of Coph Nia, and whose left hand is empty for he has crushed an universe and naught remains, as we unite our awakened natures with those of all beings everywhere and everywhen, dissolving all obstacles and healing all suffering. Like Taking Refuge, Generating Bodhichitta is part of the Comselh Ananael Ritual Template. Magus: For pure will, unassuaged of purpose, delivered from the lust of result, is in every way perfect. All: All is pure and present are and has always been so, for existence is pure joy; all the sorrows are but as shadows; they pass and are done; but there is that which remains. To this realization we commit ourselves - pure and total presence. So mote it be. Magus performs the COMSELH MADRIAX up to the closing. All present rotate appropriately. Magus: MADRIAX CARMARA, YOLCAM LONSHI! Magus makes the Sign of Rending the Veil. All make and hold the Sign of Apophis and Typhon. Magus recites the preliminary invocation. All make the Sign of Silence, then clasp hands over hearts and recite the Oration to God. O Almighty, Eternal, True and Living God: O King of Glory: O Lord of Hosts: O Thou, who art Heaven and Earth and all things visible and invisible: we beseech Thee in this our present petition to have mercy and compassion upon us, who, faithfully and sincerely of long time have made suit unto Thy Divine Majesty, that we may obtain true Gnosis and full understanding of Thy Divine Wisdom, Power and Goodness. And whereas it has pleased Thee of Thy infinite Goodness, by Thy faithful and holy Spiritual Messengers, to deliver unto us long since an orderly form and manner of Exercise Angelic: how, to Thy Honor and Glory, and the comfort of our own souls and of others Thy faithful servants, we may at all times use very many of Thy Holy Angels, their counsels and helps: according to the properties of such their functions and offices, as to them, by Thy Divine Power, Wisdom and Goodness is assigned and limited. Therefore, we heartily and faithfully beseech Thy Divine Majesty to further this our present industry and endeavor to Exercise ourselves, according to the aforesaid orderly form and manner. Grant also unto us this blessing and portion of Thy Heavenly Graces: that thou wilt forthwith enable us, make us apt, and acceptable in body, Soul, and Spirit to enjoy always the Holy and friendly conversation, with the sensible, plain, full and perfect help in word and deed of Thy Mighty, Wise and Good Spiritual Messengers and Ministers generally: and namely of Blessed Michael, Blessed Gabriel, Blessed Raphael and Blessed Uriel: and also, especially of all those which do appertain unto the Heptarchical Mystery and the Mystery of the Great Table. Reveal unto us Thy Majestical Glory, now and forever, through Thy Ministers, the true and faithful Angels of Light. Scryer moves to the west of the altar and is seated at the Holy Table, gazing into the stone or mirror. Magus stands behind Scryer and all other participants remain in a circle around the Table. O YHVH TzABAOTh, we invoke and implore most earnestly your Divine Power, Wisdom and Goodness, and most humbly and faithfully ask you to favor and assist us in all our works, words and cogitations, concerning, promoting orprocuring yourpraise, honor and Glory. And by these your twelve mystical names. ORO, IBAH, AOZPI, MOR, DIAL, HCTGA, OIP, TEAA, PDOCE, MPH, ARSL, GAIOL, most ardently do we entreat and implore your Divine and Omnipotent Majesty: that all your faithful Angelic Spirits whose mystical names are expressed in this book and whose offices are briefly noted, in whatever part of the world they be and, in whatever time of our lives they are summoned by us by means of their peculiar powers or authority of your Holy Names (likewise contained in this book), that most swiftly they come to us visible, affable, and appear to us peacefully and remain with us visibly according to our wishes, and that they disappear at our request from us and from our sight. And through you and that reverence and obedience which they owe you in those twelve mystical names above mentioned, that they give satisfaction amicably to us also, at each and every moment in our lives, and in each and every deed or request to all, some or one of them, and to do this quickly, well, completely and perfectly to discharge, perfect and complete all this according to their virtues and power both general and individual and through the injunctions given them by you (O God) and their charged offices and ministry. AMEN. All (Excluding Scryer): Through you, YHShVH, AMEN. Magus then recites the First Call, followed by Scryer reciting the Second Call. There has been a great deal of speculation about the use of the first two Calls, but I have not seen the obvious idea that the Magus recites one and the Scryer recites the other anywhere. The text of the First Call begins with "I reign over you..." and proceeds in the classical European ceremonial manner establishing authority over the spirits through the power of God. The Second Call ends with "and make me a strong Seething, for I am of him that liveth forever." Seething may mean "seer of things" or it may be referring to the Anglo-Saxon "seething" tradition that emphasized trance work and the alteration of consciousness. Either of these interpretations is very appropriate for scrying. Magus then recites any additional calls associated with the Angels being summoned, moving around the circle if necessary. If this is required, all present rotate appropriately. Magus recites the appropriate Angelic Invocation, moving around the circle. All rotate appropriately. All begin to chant the Angelic Names being summoned and visualize the divine light descending into the stone or mirror. When Scryer sees a vision, he or she rings the bell chime and the chant then ends at the conclusion of the current set of vibrations. The contents of this section depend on the nature of the ritual. Either questions should be asked of the Angels summoned through the Scryer, as Dee and Kelly did when they received the original system, or the Angels should be charged with a task. When this is complete, the Angels are given the license to depart. Magus gives the license to depart. O thou [Insert names of Angels called], because thou hast-diligently answered unto our demands, and hast been very ready and willing to come at our call, we do here license thee to depart unto thy proper place; without causing harm or danger unto man or beast. Depart, then, I say, and be thou very ready to come at our call, being duly exorcised and conjured by these sacred rites of magick. We charge thee to withdraw peaceably and quietly, and the peace of the Almighty, Eternal, True, and Living God be ever continued between us. AMEN. Magus then concludes the COMSELH MADRIAX. Magus: MADRIAX CARMARA, ADRPAN LONSHI! Magus makes the Sign of Closing the Veil. 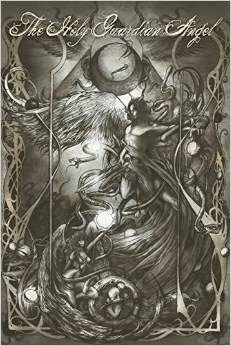 Scryer then rises and joins the circle, standing opposite Magus. All present make either one or two counterclockwise circumambulations to counterbalance those made during the conjurations. Dedicating the Merit is part of the Comselh Ananael Ritual Template. All: May the benefit of this act and all acts be dedicated unto the complete liberation and supreme enlightenment of all beings everywhere, pervading space and time. So mote it be. May the benefits of practice, ours and others', come to fruition ultimately and immediately and we remain in a state of presence. AH! Magus concludes the COMSELH AOIVEAE. Magus: I now declare this temple duly closed. This last weekend was Convergence, Minnesota's largest science fiction and fantasy convention. As usual, it was a lot of fun to spend the weekend hanging out in a hotel with lots of geeky folks and cool room parties, but of course I've only just gotten back to writing for the site. Expect a new article or two shortly. Since there's some overlap between the sf/fantasy crowd and the magical community, I put together some bookmarks promoting Augoeides and handed them out to everyone I met. The bookmark is essentially the logo across the top of the page along with the web address printed in grayscale on red cardstock. The image didn't turn out quite as well as I had hoped but I still printed 200 of them and maybe gave out half of them. Hopefully that means a few more folks will find their way here and feel like contributing. The convention was great as usual, and I'm looking forward to next year. Freemasonry is probably the oldest fraternal organization in the Western world and certainly the oldest of any significant size. At the end of the Nineteenth Century the Masonic fraternity brought together the founders of the Hermetic Order of the Golden Dawn, who assembled what I believe to be the most impressive Hermetic magical system of its day. 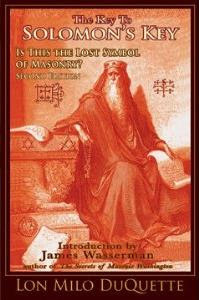 In movies and media, Masonry has been long associated with occultism and esotericism, and one might reasonably conclude from those accounts that Masons do indeed practice something like the system of magick published by Israel Regardie in his account of the rituals of the Golden Dawn. That assumption would be profoundly erroneous. I am a Mason myself, a Past Master of Braden Lodge #168 in Saint Paul, and currently serve as Chaplain. I happen to be lucky in that my lodge has a number of members who share my interest in esoteric practices, but for the most part Masonry is about fraternity. The initiation rituals are beautiful (especially the Master Mason degree) but at the institutional level modern Masonry has nothing to do with magick or occultism. There are no secret Masonic rituals aside from the degrees themselves, secret blasphemous practices, or even coordinated conspiracies. Hollywood producers would find regular Masonic meetings hopelessly dull, with motions to pay bills and accept minutes of the previous meeting. Lon Milo DuQuette is one of my favorite writers on the Western magical tradition. 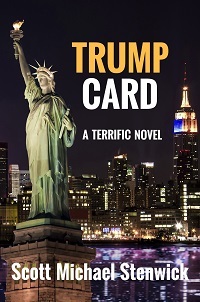 His work is practical and his writing style is funny and engaging. Interesting, he is also a Mason and like me serves as Chaplain of his lodge. The Key to Solomon's Key connects the story of the building of Solomon's Temple as it is told in the Masonic degrees with the European tradition of Solomonic magick as recorded in the Goetia or Lesser Key of Solomon, one of the most popular of the European grimoires. A friend of mine commented that there "wasn't a whole lot" to this book, which worried me a bit. Could Lon have actually written a bad book? I've read most of his work and enjoyed it all. The answer, of course, is that the book is excellent, but it is not primarily intended for experienced ritual magicians. Reading through the book I can see why my friend didn't find it very useful - the first half of the book talks briefly about the history of the Knights Templar, the rise of the Masonic fraternity, and the basic narrative of the Masonic degrees. The second half is an introductory overview of Goetic magick targeted for the novice who knows little of the system. Between these sections, Lon discusses the basic principles of ritual magick, again targeted for beginners. For a serious ritual magician who has been practicing for a long time, the book is more like a "Magick for Dummies" than an arcane volume filled with the ancient magical lore of the largest esoteric fraternity in the world, and anyone coming to the book with the latter expectation will probably be disappointed.This is not a book that is intended to push the discipline of magick forward in terms of metaphysics or techniques. Lon does put forth the intriguing theory that the Knights Templar were able to become so powerful so quickly in Europe because they found documents in the ruins of the Temple at Jerusalem that demonstrated the Bible was not historically accurate or at least disputed, which is an idea that I had not previously encountered. The idea makes sense given the political position of the Church during the Medieval period, and such discoveries were made elsewhere during this century - namely the Nag Hammadi Library and the Dead Sea Scrolls. He also postulates that this led the Knights Templar to encode some of this information in the Masonic degrees and lectures. The book does overstate the absence of historical evidence related to David and Solomon, in that it states that there are no inscriptions or archaeological records documenting that they even existed. In fact, there are a handful of inscriptions naming David. Less evidence for the existence of Solomon has been found so far, but archaeological investigations continue. I personally think that David and Solomon likely existed, but that the vast majority of stories about them were embelished and that the lives of the real people on which they were based probably had little in common with the biblical narrative. Much material that appears in the Torah was only written down during the second temple period following the Babylonian Captivity, and it is interesting to note that the story in Exodus has more in common with the escape from Babylon than it does any documented events in Egyptian history. Similarly, the stories of the early kings of Israel could have been exaggerated to enhance the apparent greatness of the Israelites' ancestors and justify their claim to most of Palestine. In fact, Palestine was mostly a collection of city-states during the period in which David and Solomon were supposed to have reigned, and their actual "empire" may not have extended much further than Jerusalem and the immediate surrounding area. If the Templars indeed found documentation proving the relative insignificance of Israel, the Church would indeed have been very interested in silencing them to prevent anyone from questioning the biblical story. According to this hypothesis, the greatest Masonic secrets of all are essentially critical thinking and freedom from dogmatic literalism regarding the Bible and other spiritual texts. When the Masonic fraternity was founded there was no public schooling and much of the information in the lectures would have been new to the aspiring Mason, whereas a modern person finds much of it familiar. Moving beyond literalism points in the direction of the universality of religion, which is one of the Ancient Landmarks of the Craft. The main argument against Masonry put forth by conservative Christians is that Masons pray together to open and close meetings even though they may be of different faiths, and anyone in the lodge who is not an evangelical Christian is worshipping a demon or the Devil himself. Incoherently, these are the same people who advocate prayer in public schools - you would think that praying at a public school function would be subject to the same criticism. Lon's overview of the basic principles of magick should not be new to an experienced practitioner, but it is explained in clear language that does not require a technical magical background or esoteric vocabulary. This is one of Lon's biggest strengths as a writer (besides humor, of course) - explaining complex ideas in simple, practical terms. There has been a lot of pompous metaphysical speculation put forth over the last hundred and fifty years or so as "things you need to know before you try any real magick" and this section of the book really cuts through the nonsense. I think I may have a couple of small technical quibbles (so small and technical, in fact, that I can't be sure they're quibbles until I talk to him) with Lon's explanations, but they will give any beginning magician a really good start. The overview of Solomonic magick will allow a would-be magician to get started right away without buying any other books, which is nice. 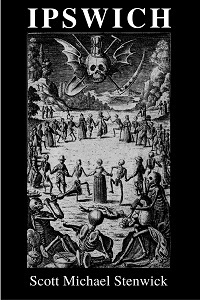 It is again introductory, though, and has little new material for magicians like my friend who are long-time practitioners of Goetia and know the system well. It makes for an excellent handbook, though, and even though I am not that familiar with Goetia I could pick it up and do an evocation using only the material presented within. If I ever get really serious about working with the Goetic system I will need more, of course, but it makes for a good start. The brilliance of this book is that its target audience seems to be Masons with some interest in magick but no real practical experience. 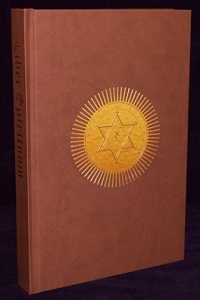 Most Masons are open-minded about spirituality and have at least been acquainted with the power of ritual in their initiations, so it seems reasonable to think that many of them might be interested in a book like this. It starts off with the history of the Knights Templar that is familiar to most Masons and then slowly moves into the territory of ritual magick, which few Masons practice, and finally into a practical exposition of the Goetia. In addition, I have encountered one or two ritual magicians who are more interested in Masonry after reading it, which may be a secondary audience. The bottom line: for a beginning magician, especially one who is already a Mason, it is excellent. It is, however, an introductory book and experienced magicians should expect to find a lot of things in it that they already know. Want to buy your own copy of The Key to Solomon's Key by Lon Milo DuQuette? Order from my Books and Media page and you can help support Augoeides. The following is an invocation of Nature's Simultaneous 4-Day Time Cube. What? You've never heard of Time Cube? Let me enlighten you. Hey stupid - are you too dumb to know there are 4 different simultaneous 24 hour days within a single rotation of Earth? Greenwich 1 day is a lie. 4 quadrants = 4 corners, and 4 different directions. Each Earth corner rotates own separate 24 hour day. Infinite days is stupidity. Most math is erroneous. You are educated stupid. So begins the (very long) text of the Time Cube Website dedicated to the revolutionary thinking of Nobel Prize Winner and "Doctor of Cubicism" Gene Ray, the "wisest human" who has discovered the principles of "Nature's Simultaneous 4-Day Time Cube." You never know, it might be true, and after all, "if you do not seek Time Cube you are not worthy of life on Earth." Don't say I didn't warn you. By invoking all four stations of the sun by the appropriate "holy names" given by "Dr." Ray, this ritual invokes the ethereal wisdom of Time Cube, giving the magician the power to solve the problems of nuclear waste and defeat the evil academic minions of the false word fish god. As for those who might argue that it is unnatural for me to meddle in such things, what do they expect? Time Cube proves me stupid and evil. My apologies in advance to Aleister Crowley, on whose Liber Resh vel Helios some of the ritual text below is based. This ritual may be performed at any time because the Greenwich myth is a lie. The temple should be devoid of all furniture to emphasize its cubicness, and the ideal temple is a perfect eight to twelve-foot cube, the outer dimensions of the room being determined by the height of the ceiling. No other special clothing or implements are required. Otherwise, the magician may be armed as he sees fit. If incense is burned upon the censor, it should be assofoetida or some other incense attributed to Saturn. If candles are used, there should be three of them and they should be black. The magician should draw the following diagram onto a fresh piece of paper. Start by drawing a diamond in the center of the sheet. Draw a circle within the diamond, and write "Earth" in its center. At the top point of the diamond, write "Mid Day" and the corresponding name of power given by Gene Ray, SOCRATES. At the right point, write "Sun Down" and the corresponding name of power, CLINTON. At the bottom point, write "Mid Night" and the corresponding name of power, EINSTEIN. At the left point, write "Sun Up" and the corresponding name of power, JESUS. Then draw a cross connecting the points of the diamond and arrows at each arm pointing clockwise to the next point implying rotation. This diagram should be held by the magician, in case he or she should need to pronounce the curse. The temple is opened with the Lesser Banishing Ritual of the Pentagram, followed by the Lesser Invoking Ritual of the Hexagram. The Magician then faces the east, kneels, and reads the confession. Oh Time Cube, you who are above God, I come before you to confess my evil and my stupidity. I have been a slave to the Greenwich myth. I have word-murdered my children. I have complied with cubeless evil academics, and I have not demanded the right to debate your mysteries. I am unworthy of life on earth, and have been enslaved by the false word God and his erroneous mathematics. I have ignored my obligation to humanity and deserve to be spit upon publicly. I have been too damn evil to accept you. I am the lowest form. I can't procreate alone. I have destroyed the village. I have destroyed the family. I have destroyed childhood. I have destroyed naturalism. I don't know the Truth - I am educated stupid. I have worshipped cubeless word. I am my own poison. I have created my own hell. I must seek Time Cube. But all is not lost! I stand before you now, asking humbly to partake of your mysteries. Show me the truth! Deliver me from my dumbassness and academic brainwashing! Banish my cubelessness and deliver me from the false word god! I will seek you, I will exalt you, I will demand right to debate time cube and force evil educators to eat dung! Come forth, oh greatest discovery of all, and illuminate me with your magnificence! The Magician then rises and performs the Greater Invoking Ritual of the Hexagram for Saturn, calling upon the godname of KRONOS, the Lord of Time. Hail unto thee who art Jesus in thy rising, even unto thee who art Jesus in thy strength, who traveleth over the heavens in thy bark, the boat of millions of years, at the uprising of the Sun. Hail unto thee from the abobes of night! Hail unto thee who art Socrates in thy triumphing, even unto thee who art Socrates in thy beauty, who traveleth over the heavens in thy bark, the boat of millions of years, at the mid-course of the Sun. Hail unto thee from the abodes of morning! Hail unto thee who art Clinton in thy setting, even unto thee who art Clinton in thy joy, who traveleth over the heavens in thy bark, the boat of millions of years, at the going-down of the Sun. Hail unto thee from the abobes of day! Hail unto thee who art Einstein in thy hiding, even unto thee who art Einstein in thy silence, who traveleth over the heavens in thy bark, the boat of millions of years, at the midnight hour of the Sun. Hail unto thee from the abobes of evening! Of Einstein and of Socrates! The Prophet of the Great Time Cube! The magician then sits in the center of the temple in meditation, waiting for Time Cube to bestow its wisdom. This wisdom is profound and will allow the magician to solve the problems of war, nuclear waste, evil in the world, and stupidity. However, should the magician prove to be too damn evil to accept the wisdom of Time Cube (that is, nothing happens), he or she should rise and pronounce the curse after a suitable interval of meditation. Also, should the wisdom received fail to enable the magician to resolve the world's problems, the rite has failed and the curse must be pronounced. Time Cube, you who are the delusion of a madman! I have called upon you. I have sought you. I have opened myself to your wisdom. And yet, you fail to acknowledge me. You fail to enlighten me. You fail to banish my cubelessness and lift the stupidity of my education. You are a lie, Time Cube! A cube has more than four sides! There is nothing special that makes each station of the sun a "day"! 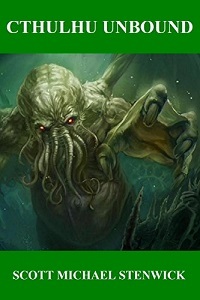 It is you who are evil, you who are stupid, you who are the mindless ramblings of a wannabe false word fish god! I now destroy your sigil, Time Cube. I banish you from my universe. I commit you to the formless abyss of Choronzon from which all logical fallacies and confusions emerge. Begone! The magician then destroys the printed diagram, either by ripping it to shreds and casting it aside, or burning it in the flame of a candle or upon the censor, if either is present. The Lesser Banishing Ritual of the Pentagram is performed. The rite is at an end. This ritual is the macrocosmic complement to the COMSELH AOIVEAE, and was developed along with that ritual for our magical working group, Comselh Ananael. It is based on an earlier ritual of mine called the MADRIAX which used the symbol of the heptagram in accordance with its basic symbolism drawn from John Dee's Heptarchia Mystica. The angels of the Heptarchia do not appear on the Great Table and are explicitly planetary and attributed to the days of the week. Each day has a King and Prince who have specific offices and behave somewhat like a planetary intelligence and spirit, though the distinction is not nearly as clear-cut as it is with Agrippa's planetary hierarchy. In general, the Kings are associated with knowledge and learning and the Princes with mundane actions. The ruling angels of the system are CARMARA and HAGONEL, who do not seem to be bound to any particular day, though in the Heptarchia their conjurations appear along with those for the King and Prince related to Monday. The COMSELH MADRIAX does not use the figure of the heptagram at the various directional points but that of the Unicursal Hexagram. The same figure is used in the microcosmic COMSELH AOIVEAE and this is a break from the Golden Dawn tradition. The Golden Dawn used the pentagram to symbolize the microcosm and the standard bicursal hexagram to symbolize the macrocosm, which they related to the formula of the Adept or 5=6. The Unicursal Hexagram is a hybrid symbol - it can represent the elements (as shown in Aleister Crowley's Book of Thoth or in an earlier knowledge lectures of the Golden Dawn) or it can represent the planets, as it is sometimes used by modern magicians. Israel Regardie was one of the first advocates of this latter usage, especially because it allowed a Hexagram of the Sun to be drawn from the central point. However, even when used in a planetary context the figure retains its elemental symbolism and is less suitable than the standard hexagram for pure planetary operations. To draw a standard Golden Dawn Hexagram of the Sun it is necessary to trace all six planetary hexagrams, which as Michael Sandborn comments in The Unicursal Hexagram as Hyperbola is a "wonderful isometric exercise." The departure from the Golden Dawn pentagram/hexagram symbolism is grounded in the essential concepts of operant magick. The Operant Field Model proposes that the mind of the magician corresponds to a field effect that is experienced as consciousness. This is termed the Personal Field. Fields are also created by individual objects, and these fields unite into larger fields when those objects interact. These are called Transpersonal Fields. The magician is able to influence objects because he or she has trained the personal field to synchronize with a transpersonal field that contains those objects and then is able to use concentrated thought to affect them. Essentially, magick is possible when the Personal Field and a Transpersonal Field are conjoined. Bringing the macrocosmic and microcosmic realms into alignment in this manner is the basic goal of the opening rituals, such as those of the pentagram and hexagram. The Unicursal Hexagram is an ideal glyph to accomplish this, especially if it is considered as a representation of a hyperbola. Michael Sandborn's The Unicursal Hexagram as Hyperbola was very influential in the design of this ritual and its counterpart, even moreso than it was in the development of our alternative Lesser Ritual of the Hexagram. The interesting thing about the hyperbola is that from a mathematical standpoint there are not two curves, but one, even though the figure is drawn as two arcs facing in opposite directions that do not appear to touch. If the upper curve is envisioned as the Transpersonal realm and the lower curve is envisioned as the Personal Field, then this figure is indeed ideally suited for use in complementary rituals intended to accomplish the union of the two realms, uniting that which at first appears to be separate. Attributing Active Spirit to Saturn may seem odd since Saturn is usually seen in astrology as representing limitation and structure, but Saturn also is the Lord of Initiation and stands in for all three supernal spheres. In this arrangement it signifies the actions of the Heavens, just as the Moon signifies the actions of the Earth. The top and bottom points are larger than the side points because they represent the active and passive polarities that give rise to the other four elements. The standard hexagram is a more "pure" planetary symbol since it reflects a completely balanced arrangement of the planets by virtue of having six identical points. Banishing and invoking planets using the Unicursal Hexagram works slightly differently than banishing and invoking elements. With elements, the figure is traced toward the point attributed to the element to invoke and away from the point attributed to the element to banish. With planets, the figure is traced starting at the point attributed to the planet moving clockwise to invoke and counter-clockwise to banish. As noted in Sanborn's essay, this presents a problem because there is no way to draw a fully clockwise or counter-clockwise Unicursal Hexagram - the "twist" in the middle of the figure means that the tracing will always switch directions in the course of completing the shape. How this is resolved is to move clockwise or counter-clockwise from the perspective of the point from which the figure is being traced. In the COMSELH AOIVEAE, the Unicursal Hexagrams are traced to the four directions in such a way that the temple is envisioned as a two-dimensional space. The dimension of spirit - that is, the path followed by the Lightning Flash and Serpent of Wisdom - is represented by the third dimension of the space, the vertical axis. In the COMSELH MADRIAX, the Unicursal Hexagrams are traced in a three-dimensional configuration to form a sphere with the representation of the Sun at its center. The spiritual dimension can no longer be modeled as the vertical axis and is then represented as turning inward and outward rather than upward and downward. This reflects the true macrocosmic shape of the fields involved - for the Personal Field to align a Transpersonal Field, the field that is experienced as consciousness must expand outward to encompass more of the universe than just the individual self. This is why mysticism is an important part of any magical practice - it teaches the expansion of the self beyond the artificial boundaries imposed by personal perceptions. The second section of the ritual calls upon the Governors, twelve Angels that rule over the various parts of the earth and are related to the signs of the Zodiac. Like the Angels of the Heptarchia, these Governors do not appear on the Tablet of the Watchtowers and represent the pure force of the signs of the Zodiac. As an aside, note that these twelve Governors are not the same as the Angelic names of the ninety-one Parts of the Earth, which do appear on the Tablet, despite the fact that the Golden Dawn Enochian system refers to the Parts of the Earth as "the Governors." It is clear from the original passage in Dee's diaries that when the Angels make reference to the Governors, they mean these twelve Zodiacal Governors and not the Parts of the Earth. The logic of this system is based on the disposition of the Tribes depicted in Numbers 2, combined with Dee's diagram of that disposition. There are several possible systems that could be derived from these sources; the one actually used was chosen by divination after the major possibilities were assessed. Rowe's attributions of the Governors to the signs are used in the second section of this ritual. There is no specific opening step in this ritual that is comparable to sections I and IV of the pentagram ritual, since it is assumed that this ritual is encapsulated by the COMSELH AOIVEAE. By this I mean that you perform the COMSELH AOIVEAE up through "Behold, the circle of stars, and I the all-powerful in the midst," perform this ritual, perform additional ritual work as you will, and close with section IV of the COMSELH AOIVEAE. As such, the opening has already been done and the closing will be performed following the conclusion of whatever additional ritual work is being done. Face the east. If the Holy Table is present, stand to the west of it. In all cases, you will be casting across the Holy Table to the opposite side of the Temple, so "turn to the south" means to move to the north of the Table facing south. In the east, trace the Unicursal Hexagram of Mars in red and vibrate BABALEL (BAH-bah-lel). Turn to the south. In the south, trace the Unicursal Hexagram of Mercury in white and vibrate BNASPOL (BNAS-pohl). Turn to the west. In the west, trace the Unicursal Hexagram of Jupiter in green and vibrate BYNEPOR (BY-neh-pohr). Turn to the north. In the north, trace the Unicursal Hexagram of Venus in black and vibrate BALIGON (BAH-lee-gohn). These first four planets are attributed according to the density of the associated element on the Unicursal Hexagram. Return to the east, completing the circle. Above you or above the Holy Table in front of you, trace the Unicursal Hexagram of Saturn in bright violet and vibrate BNAPSEN (BNAP-sen). Below you or below the Holy Table in front of you trace the Unicursal Hexagram of the Moon in deep purple and vibrate BLUMAZA (blu-MAH-zah). Trace a heptagram (or heptangle) surrounding your heart, starting at the solar point and moving clockwise, in bright yellow-gold. Then clasp your hands over your heart and vibrate BOBOGEL (BOH-boh-ghel). The twelve zodiacal Governors are now called upon in a widdershins circle that counterbalances the deosil circle of hexagrams. Starting with Aries in the east, the magician traces the sign attributed to the Governor while vibrating the name. He or she then moves 30 degrees widdershins and does the same for the next Governor in the series (Taurus in this case). If the banners are present lining the circle they may be decorated with the appropriate sign and Governor name in addition to the Name of God, which will aid memorization. This action is repeated until the magician has made a full widdershins circumambulation of the Temple and is again facing east. In the east, trace the sigil of Aries in red and vibrate ALPUDUS (AL-puh-dus). Turn 30 degrees counter-clockwise. To the east-northeast trace the sigil of Taurus in red and vibrate HONONOL (HOH-noh-nol). Turn 30 degrees counter-clockwise. To the north-northeast trace the sigil of Gemini in black and vibrate ZARZILG (ZAR-zeelg). Turn 30 degrees counter-clockwise. To the north trace the sigil of Cancer in black and vibrate GEBABAL (GEH-bah-bahl). Turn 30 degrees counter-clockwise. To the north-northwest trace the sigil of Leo in black and vibrate OLPAGED (OHL-pah-ged). Turn 30 degrees counter-clockwise. To the west-northwest trace the sigil of Virgo in green and vibrate CADAAMP (KAH-dah-ahmp). Turn 30 degrees counter-clockwise. To the west trace the sigil of Libra in green and vibrate ZARNAAH (ZAR-nah-ah). Turn 30 degrees counter-clockwise. To the west-southwest trace the sigil of Scorpio in green and vibrate ARFAOLG (AR-fah-olg). Turn 30 degrees counter-clockwise. To the south-southwest trace the sigil of Sagittarius in white and vibrate LAVAVOT (LAH-vah-voht). Turn 30 degrees counter-clockwise. To the south trace the sigil of Capricorn in white and vibrate ZURCHOL (ZUR-khol). Turn 30 degrees counter-clockwise. To the south-southeast trace the sigil of Aquarius and vibrate ZIRACAH (ZEER-ah-kah). Turn 30 degrees counter-clockwise. To the east-southeast trace the sigil of Pisces in red and vibrate ZINGGEN (ZEENG-gehn). Turn 30 degrees counter-clockwise, completing the circle and returning to face the east. Make the Sign of Apophis and Typhon and vibrate TA CALZ I OROCHA (TAH KAHL-zod EE or-OH-cha - "As above the firmament so beneath"). The full COMSELH AOIVEAE visualization. Planetary Unicursal Hexagrams to the four quarters in the four directional colors, merging with the directional hexagrams of the COMSELH AOIVEAE. The Solar Heptagram in bright gold surrounding your heart. It is within the pentagram you traced over yourself in the opening of the COMSELH AOIVEAE. The full circle of the Zodiac, drawn beyond the hexagrams so that it seems to extend to the edges of the cosmos. All of these elements merged together into a single coherent whole, which is the magical field. This step varies depending on whether you are using this ritual as a banishing or as an invocation, and whether or not it is being used with other ritual work. If the ritual is being used in conjunction with any other ritual work perform this entire part as written. If it is being performed as a banishing to clear a space or neutralize magical influences, skip to step 3. If it is being performed as an invocation to provide a general flow of energy to ongoing magical effects or as a daily practice, stop at step 1. CARMARA is the name of the King who rules over the entire Heptarchy of Angels. If you are performing additional ritual work, make the Sign of Rending the Veil, as though parting a heavy curtain in front of you with both hands, and intone MADRIAX CARMARA YOLCAM LONSHI (MAH-dree-ahx kar-MAH-rah YOHL-kahm LOHN-shee - "O ye heavens of CARMARA, bring forth power"). Perform any additional ritual work here, to its conclusion. Make the Sign of Closing the Veil, as though closing a heavy curtain in front of you with both hands, and intone: MADRIAX CARMARA ADRPAN LONSHI (MAH-dree-ahx kar-MAH-rah, AHD-rpahn LOHN-shee - "O ye heavens of CARMARA, cast down power"). At this point, the conclusion to the AOIVEAE is performed, and the ritual is complete.